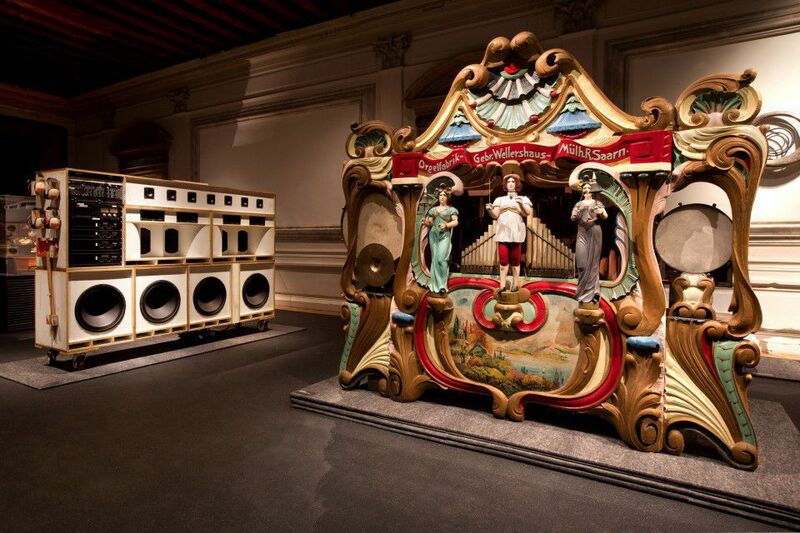 Fondazione Prada presents “Art or Sound”, curated by Germano Celant, the exhibition is conceived as an investigation of past and present times, explores the relationship between art and sound and the way it has developed from the 16th century to the present day, examining the iconic aspects of musical instruments, the role of the artist-musician, and the areas in which the visual arts and music have intermixed. 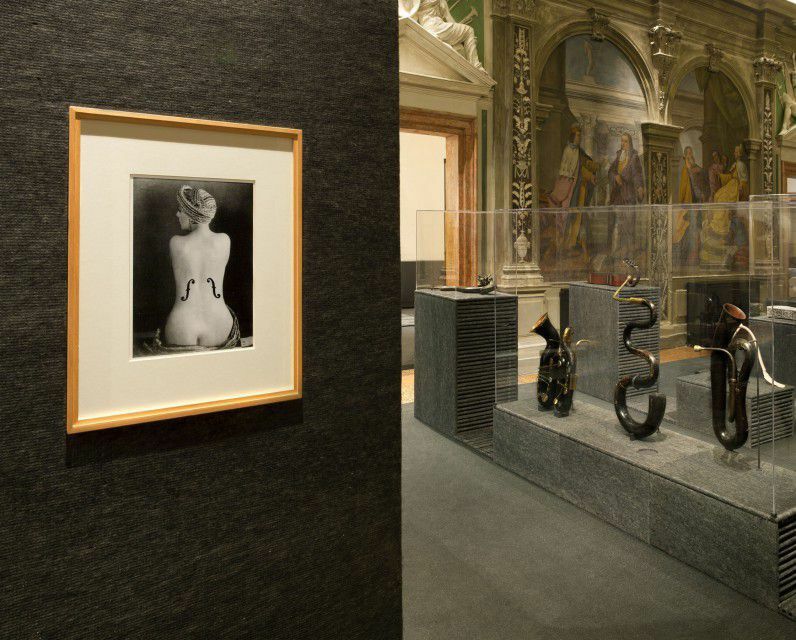 Organized on a historical basis, the exhibition comprises 180 artifacts and occupies the two main floors of Ca’ Corner della Regina. 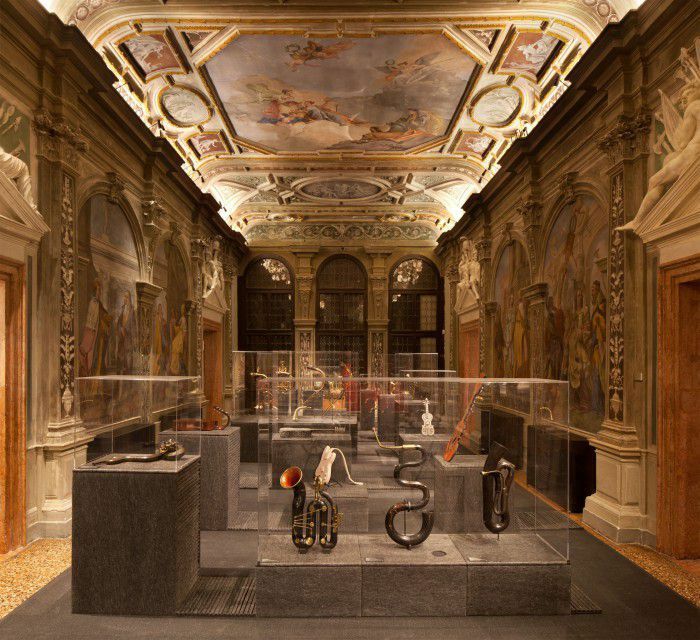 Starting out with music-themed paintings produced by Bartolomeo Veneto and Nicola Giolfino between 1520 and 1530, it moves on to a series of musical instruments made from unusual and precious materials in the 17th century, a series of 18th-century musical automata, such as the precious clocks in the form of a birdcage made by Jaquet-Droz and Henri Maillardet, and 19th-century examples of automated musical instruments and mechanical devices capable of giving visual expression to music through light and color. 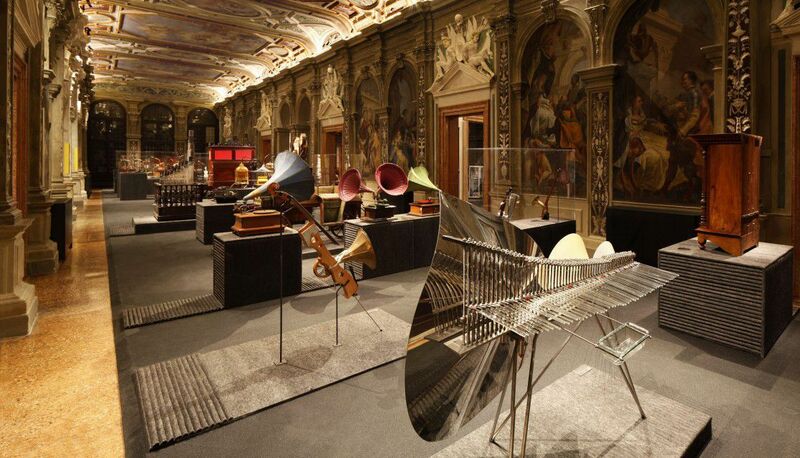 Research in the field of the synesthesia are presented, along with experiments carried out by the historical avant-gardes, such as the celebrated intonarumori (1913) created by Futurist artist Luigi Russolo, and some of Giacomo Balla’s objects. The show continues with instruments and works by composers like Alvin Lucier and John Cage; works by artists of the 1960s, such as the sound boxes of Robert Morris and Nam June Paik; kinetic sculptures, sound installations and examples of the iconic and formal appropriation of the musical instrument, such as the pianos created by Arman, Richard Artschwager and Joseph Beuys; and hybrid instruments like the guitars of Ken Butler and William T. Wiley, which are genuine sculptures that can be played. This exploration also covers the more recent research and artistic production of a newer generation of artists. The title “Art or Sound” is not intended as an expression of opposition, but rather as the encounter between two independent realms. 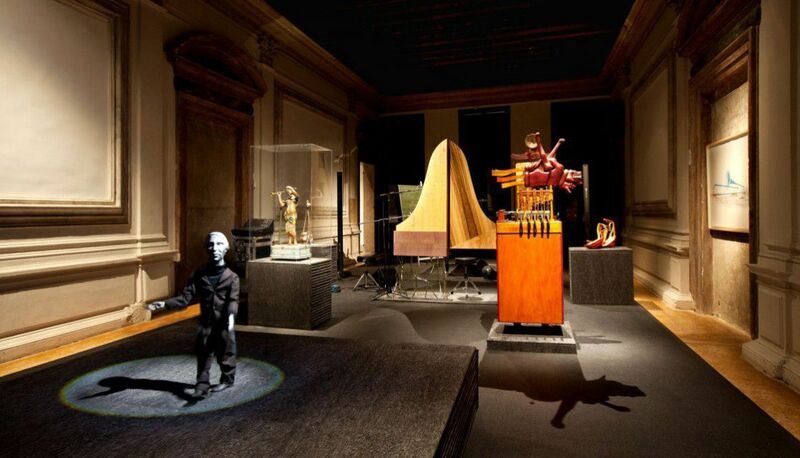 It identifies an area of free transition that, over the last five centuries, has allowed art to flow into sound and sound into art, even as each maintained its independence. 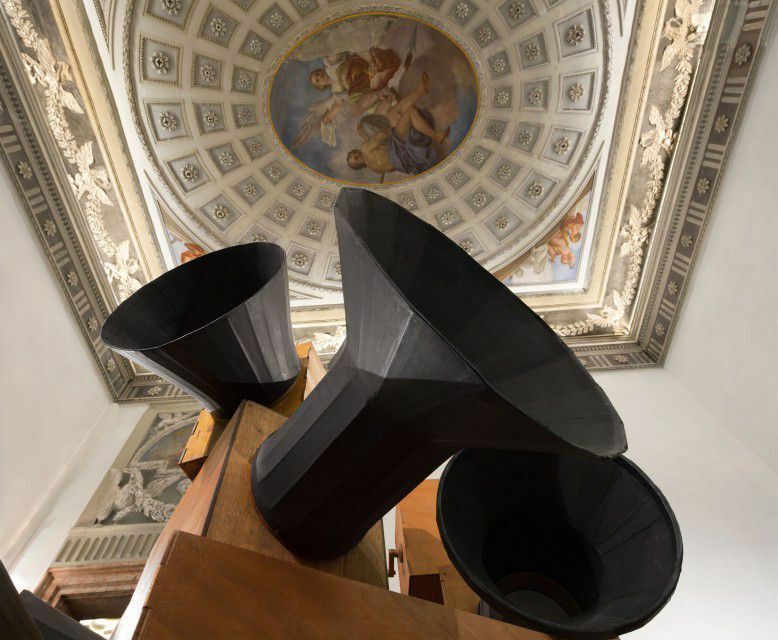 The intention is to offer a reinterpretation of the musical instrument that turns into a sculptural-visual entity, and of artworks that produce sound, in a continual encroachment and inversion of fields.